Looking for a lifter kite suitable for KAP (Kite Aerial Photography)? The Box Delta is a combination of a Delta and a classic box kite. The Box Delta combines the advantages of both kites: a large sail area and several surfaces for stabilisation. 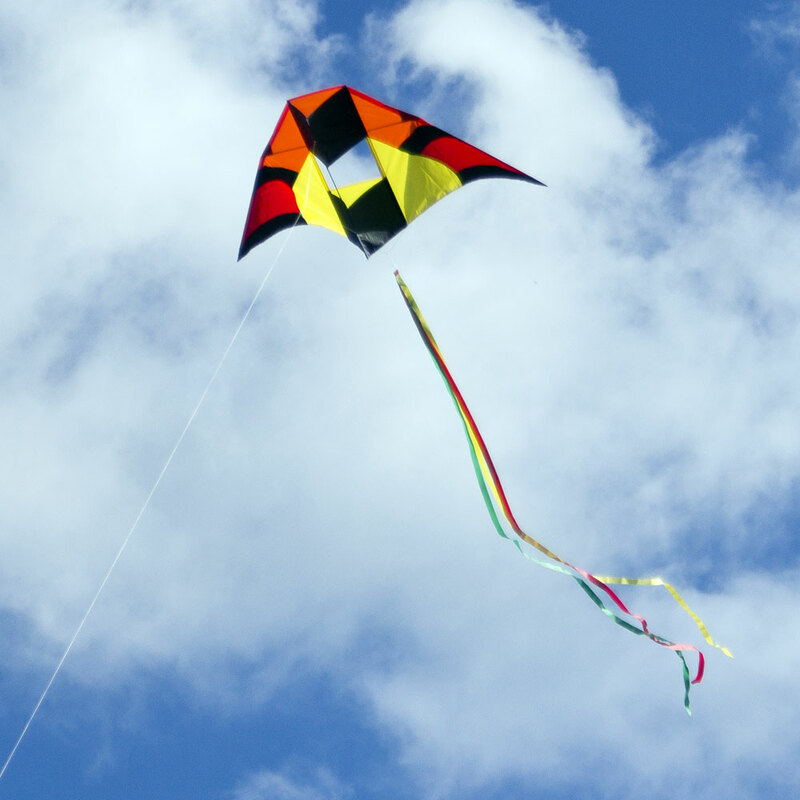 This kite is suitable for KAP because of its stable flying properties. It will lift cameras, smart phones, GoPro cameras or line laundry. The Box Delta is stabilised by the large sail areas and the box element. The special construction offers a very good lift and a wide wind range. The kite withstands even bumpy coastal winds. Level One has developed two new stunt kites this year. Peter Maternus (screen name: PAW) was involved with the design and set-up of this beauty. The Badass is a clear freestyler, which manages old tricks as well as the new trick repertoire. A slow and easy kite to fly, very responsive on the lines, very good precision and a perfect floater for peaceful flying. Level One aka Jens Frank developed the MAXXX in collaboration with Grischa Koenig, who came 2nd with the MAXXX in the International Sportkite Freestyle Challenge in Bintulu, Malaysia, 25-30. Sept. 2018. Both new Level One kites will only be available from Level One directly. But if you need assistance ordering, just ask us and we will be glad to help. 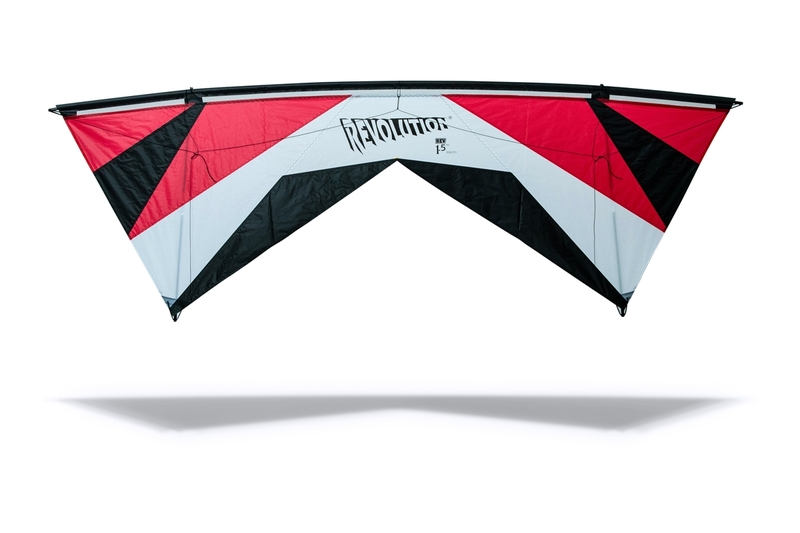 The new Revolution EXP kite with Reflex sports an 11 panel design, reminiscent of the former 1.5 models. 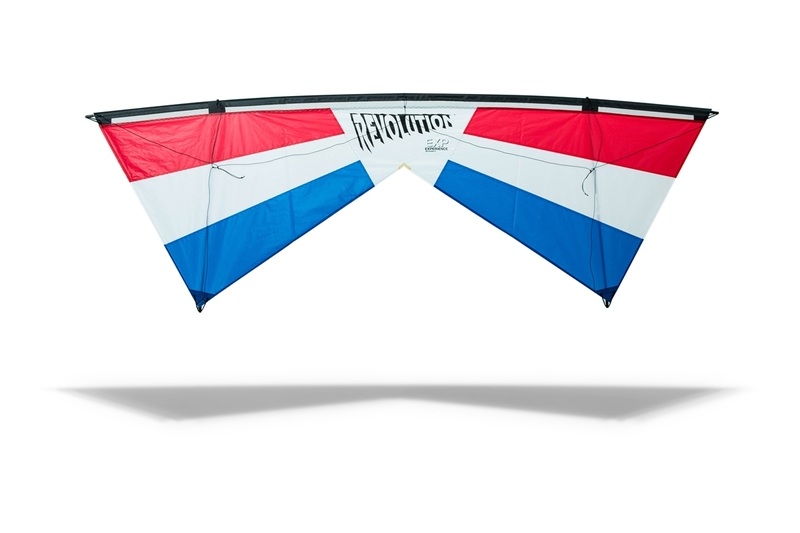 The new design of the Revolution EXP kite with Reflex replaces the long-standing, almost traditional, colour scheme of the 7 panel EXP design. The new EXP Reflex RTF package comes with 65ft / 90 lb Laser Pro Gold lines instead of the 80ft lines from previous models.